If It's Hip, It's Here (Archives): Parmigaini Fleurier Redesigns Their Limited Edition Bugatti Watch. Parmigaini Fleurier Redesigns Their Limited Edition Bugatti Watch. 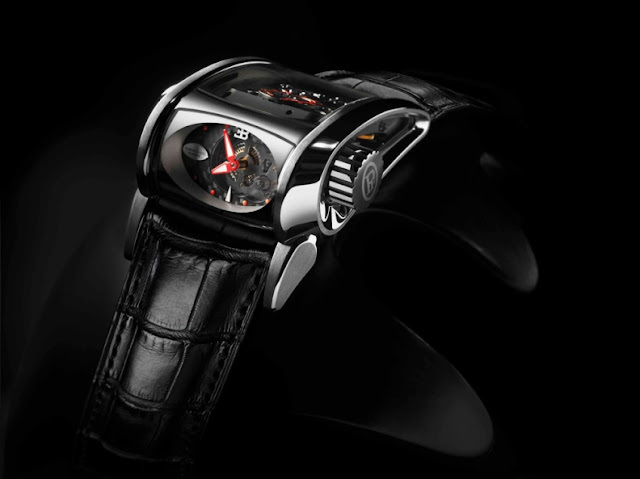 Parmigiani Fleurier, the official partner of Bugatti since 2001, unveiled the second generation of its Bugatti models. 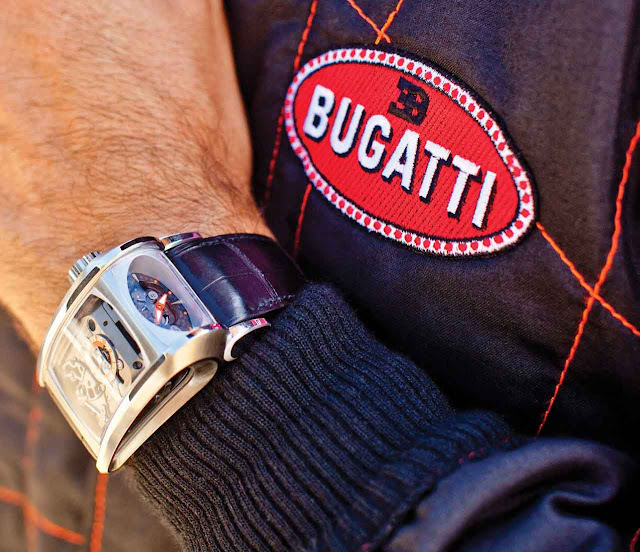 The follow-up to the Bugatti Type 370 is a special first edition of 30 pieces, The Bugatti 372 made to accompany the release of the Bugatti Super Sport. 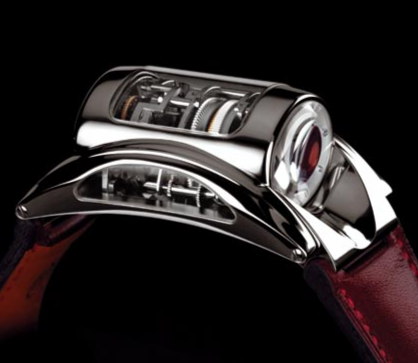 In 2004, Parmigiani revolutionized the world of watchmaking by placing the entire movement of its Bugatti Type 370 watch on a transverse axis, just like a car engine block. A pillar assembly connected the calibre's five plates and the train wheels cut in the shape of a car wheel. In a world premiere, Parmigiani has successfully developed a 90° time setting system – the dial is positioned perpendicular to the display axis (hours/minutes) – by integrating a system of double pinions with bevel gearing. 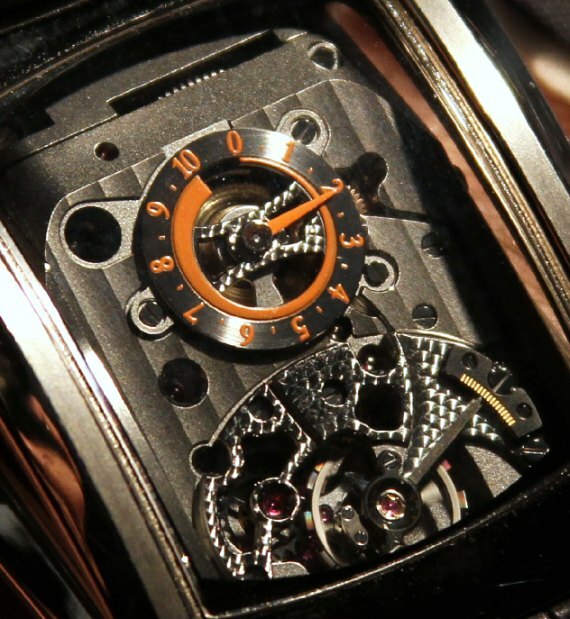 Like the complete movement, this unique and complex mechanical system, which allows the time to be displayed on the side, has been entirely designed and created in the workshops of the Fleurier manufacture (VMF). Another key feature of the new Bugatti: its dynamometric crown. Perfectly integrated just above the profile, this is one of the essential technical components in terms of the harmony of the model's aerodynamic lines. 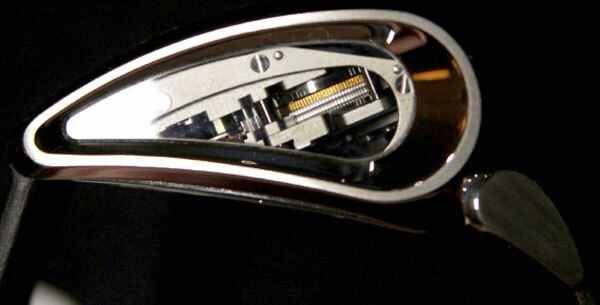 To retract the winding stem from its housing and make it accessible for setting, a slight pressure is sufficient. The manually wound Calibre Parmigiani 372 (power reserve of 10 days) was designed in two planes in order to match the contours of the new Bugatti watch. 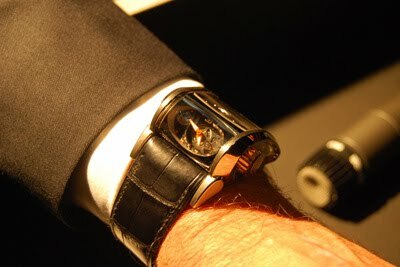 On the wrist, the watch movement is displayed at an angle of 30°. 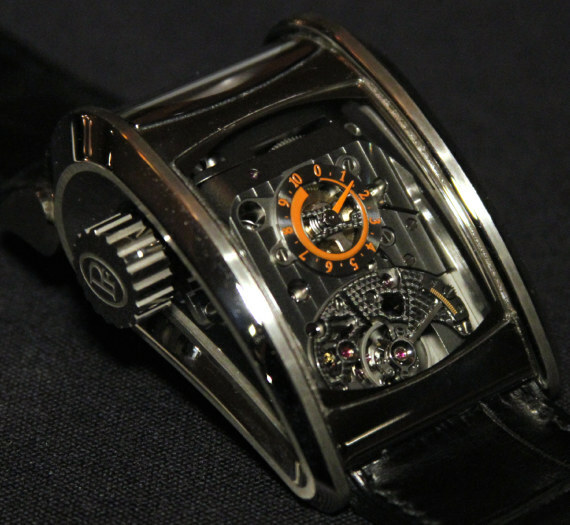 On the upside, the balance and escape wheel bridges form an arc reminiscent of the Bugatti oval. 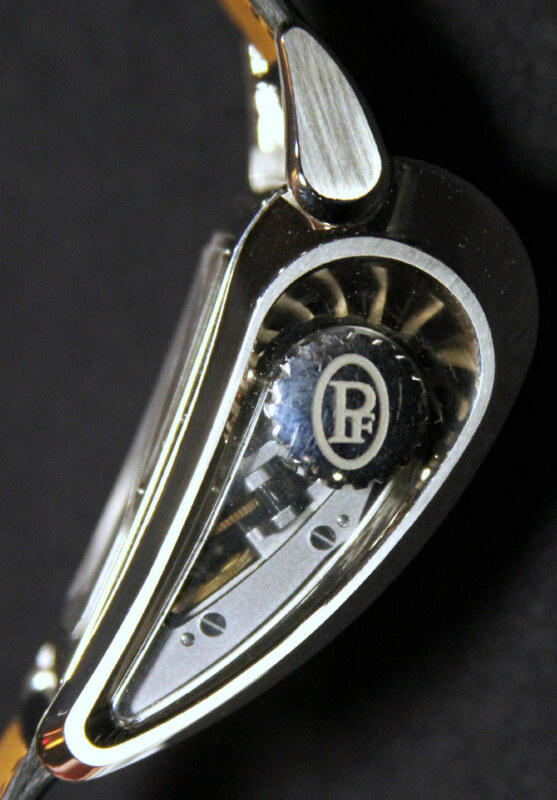 The screw balance, produced at atokalpa – the Parmigiani manufacture's bar turning facility – is perfectly visible, just like the central circular power reserve bridge with a 10-day graduated scale. Striking aesthetic characteristics, the train wheels are once again cut in the form of car wheels, the plate and its 10 bridges, designed and decorated in line with Parmigiani's exclusive criteria, adopt the pillar system already used on the Calibre 370. A total of six sapphire crystals reveal the 337 impressive components of the new Bugatti Super Sport, which is water resistant to 10 metres. 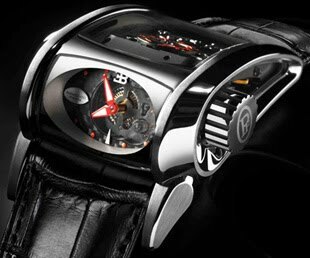 The carbon fibre hour wheel can be seen through the dial's openworked centre, and is an homage to the Bugatti Veyron 16.4 Super Sport. 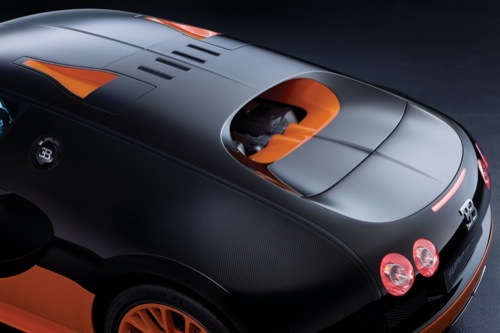 The hands, applique indexes and counter are picked out in the same shade of orange used on the limited edition "world record" Veyron. The highly tapered profile of the Bugatti Super Sport recalls the body of a wing, however the inspiration for the design lies in the iconic shape of the case lugs on a Parmigiani watch. 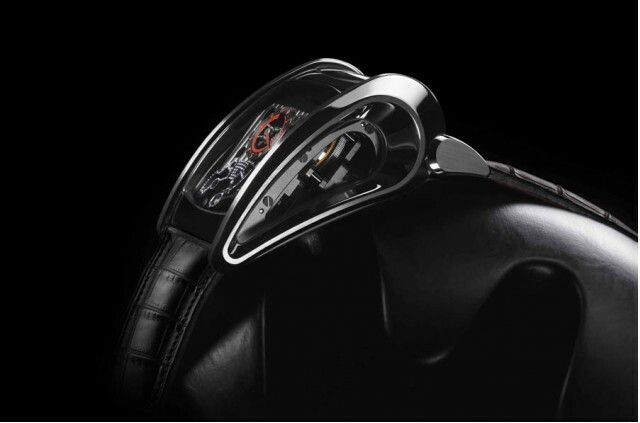 Boasting the brand's characteristic curves the new Bugatti represents the decisive signature of the Parmigiani style. Highly ergonomic on the wrist, the Bugatti Super Sport offers even greater comfort thanks to the two removable lugs incorporated at the front of the watch. 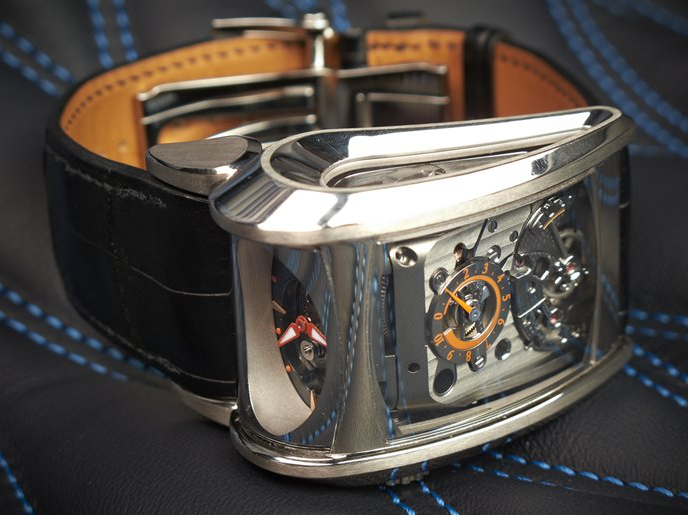 Of a complexity rare in watchmaking, the design of the new Bugatti's 18 ct white gold case – created by Les Artisans Boîtiers, the Parmigiani manufacture's case production facility – reproduces the taut lines of the Bugatti Veyron's wings. Brushed or polished, inclined planes and bevels are brought to life by contrasting light effects to reveal its generous volumes. The watch's aerodynamic curves, which are reminiscent of those on the 1200 bhp Bugatti Veyron, are matched with an integral Hermès strap specially created for the occasion. 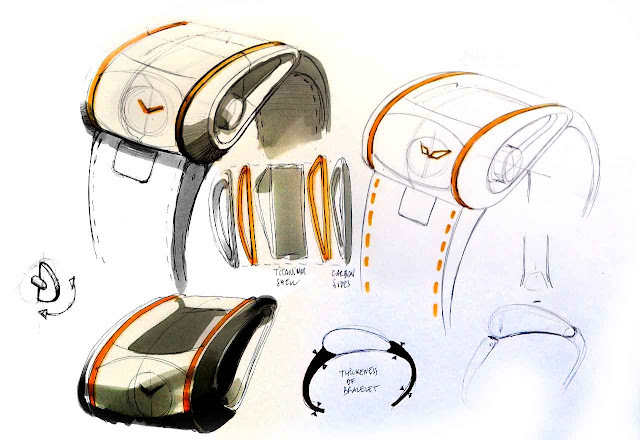 *based on an original idea by Bastien Leuba, a talented student at the Ecole d’Horlogerie in Le Locle. 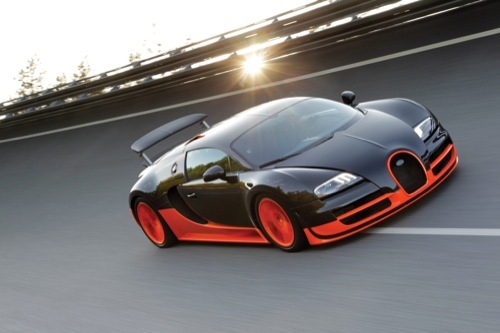 Model: Bugatti Super Sport, 30-piece special edition. Two-plane movement. "Gold black"-coloured plates and bridges. Height 15.96 mm, width 25.00 mm, length 37.01 mm. Vibration 3 Hz - 21,600 vib./h. Côtes de Genève, perlage, polished and bevelled angles. Material: 18 ct white gold. Polished and satin finish. Six anti-reflective sapphire crystals. Metallised front and top crystal on the outer edge. 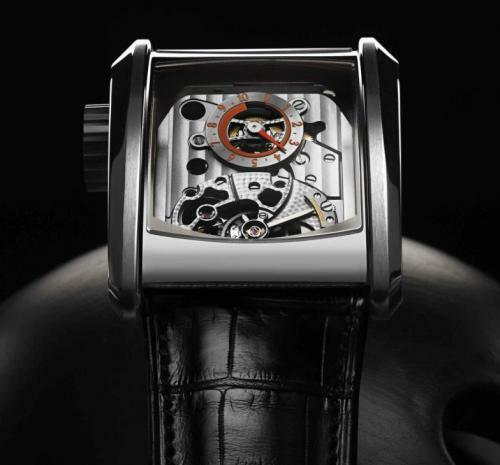 Single dynamometric crown for time setting and winding. 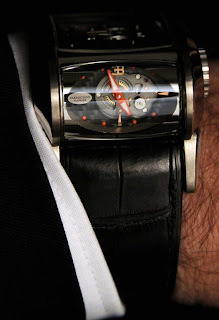 Black Carbon face, fine polished and satin-finished EB applique marker, shaped and polished applique indexes at 3 o'clock and 6 o'clock, Bugatti "nail" motifs, delta-shaped hands with luminous coating. Hermès alligator, deployant buckle in 18 ct white gold, polished finish.